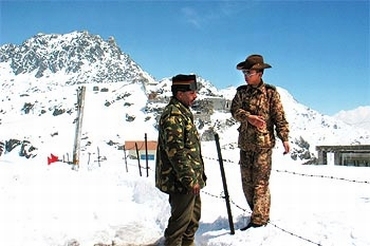 Despite increased political and economic relationship between India and China, tensions remains along their border with rising instances of border violation and aggressive border patrolling by Chinese soldiers, the Pentagon has informed the United States Congress. However, a senior defense department official told reporters on condition of anonymity that the US has not observed any anomalous increase in military capabilities along the Indo-China border. Noting that China continues to maintain its position on what its territorial claim is, the official said, the two capitals Beijing and New Delhi have been able to manage this dispute, in a way, using confidence-building measures and diplomatic mechanisms to be able to maintain relative stability in the border area. "It's something that China's paying very careful attention to. It's obviously something that India is paying careful attention to as well," a senior defense department official said. 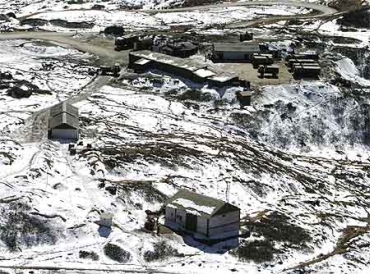 In its annual report to the Congress, the Pentagon said despite increased political and economic relations over the years between China and India, tensions remain along their shared 4,057 km border, most notably over Arunachal Pradesh. China claims its stake over Arunachal Pradesh, saying it is part of Tibet, and over the Askai Chin region at the western end of the Tibetan Plateau. "Both countries, in 2009, stepped up efforts to assert their claims. China tried to block a $2.9 billion loan to India from the Asian Development Bank, claiming part of the loan would have been used for water projects in Arunachal Pradesh. This represented the first time China sought to influence this dispute through a multilateral institution," the Pentagon said. "The then governor of Arunachal Pradesh announced that India would deploy more troops and fighter jets to the area. An Indian academic also noted that, in 2008, the Indian Army had recorded 270 border violations and nearly 2,300 cases of 'aggressive border patrolling' by Chinese soldiers," it said. 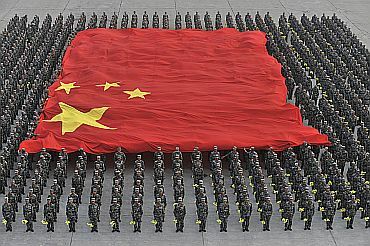 The Pentagon said the history of modern Chinese warfare provides numerous case studies in which China's leaders have claimed military pre-emption as a strategically defensive act. For example, China refers to its intervention in the Korean War (1950-1953) as the 'War to Resist the United States and Aid Korea'. Similarly, authoritative texts refer to border conflicts against India (1962), the Soviet Union (1969), and Vietnam (1979) as 'Self-Defense Counter Attacks', the report said. The Pentagon said Beijing remains concerned with persistent disputes along China's shared border with India and the strategic ramifications of India's rising economic, political, and military power. "To improve regional deterrence, the People's Liberation Army has replaced older liquid-fueled, nuclear capable CSS-3 intermediate-range ballistic missiles with more advanced and survivable solid-fueled CSS-5 MRBMs and may be developing contingency plans to move airborne troops into the region," it said. "China is currently investing in road development along the Sino-Indian border primarily to facilitate economic development in western China. 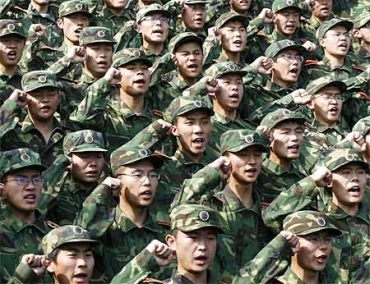 Improved roads would also support PLA border defense operations," the Pentagon said.